Careers | Botwinick & Co.
A fun, enjoyable and professional family is the best way to describe what it is like to be a part of Botwinick & Company, LLC. We have employees and partners with diverse personalities, cultural backgrounds, and work experience. We are able to learn from each other and capitalize on the different perspectives each employee and partner has to offer. It is a great place to work and it is the people who make it that way! If you’re looking to work with a close-knit team of accountants, Botwinick & Company, LLC is just the place for you. Our professional, yet family-like environment encourages close client relationships and team collaboration, working with all levels of experienced staff. Our diverse client base and service offerings allow team members to gain exposure to a wide variety of industries and niches. At Botwinick & Company, LLC, we’re always looking for self-motivated members to join in our mission of providing excellent accounting services. At Botwinick & Company, we’re always looking for members to join in our mission of providing excellent accounting services. Your accounting talents are certainly vital, but equally essential are your communications skills. 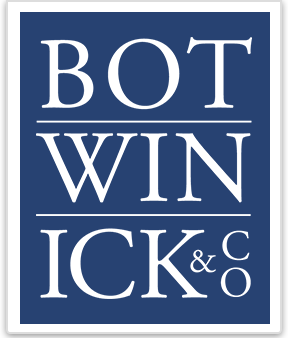 Hands-on techniques, close client relationships and team collaboration make Botwinick & Company a desirable firm for those who aspire to learn in a unique, professional atmosphere. If interested in employment opportunities at Botwinick & Company, please send resume and letter of interest to info@Botwinick.com.